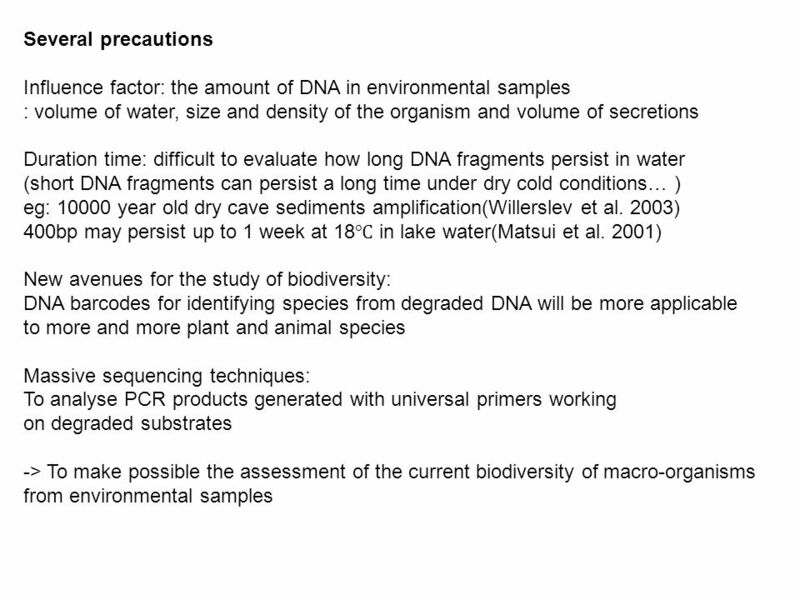 Species detection using Environmental DNA from water samples 2012.10.25. 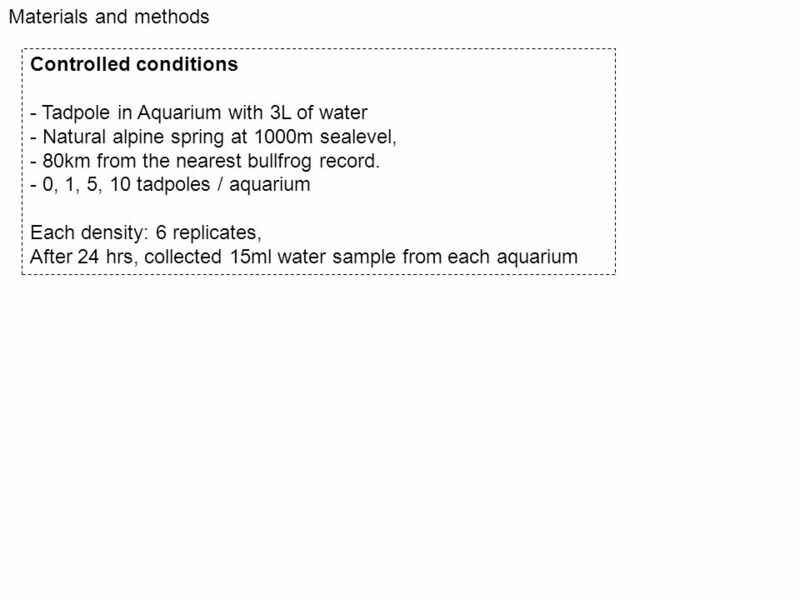 1 Species detection using Environmental DNA from water samples 2012.10.25. 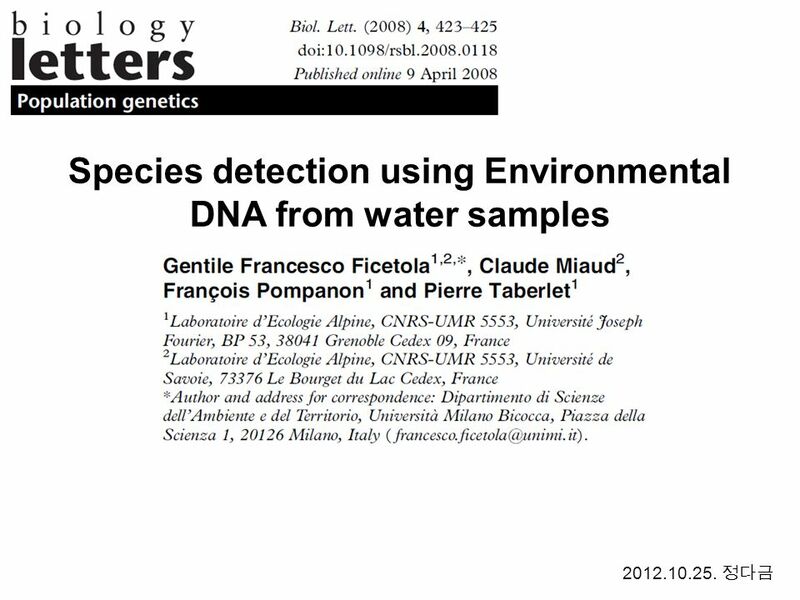 Download ppt "Species detection using Environmental DNA from water samples 2012.10.25." © Jim Barritt 2005School of Biological Sciences, Victoria University, Wellington MSc Student Supervisors : Dr Stephen Hartley, Dr Marcus Frean Victoria. 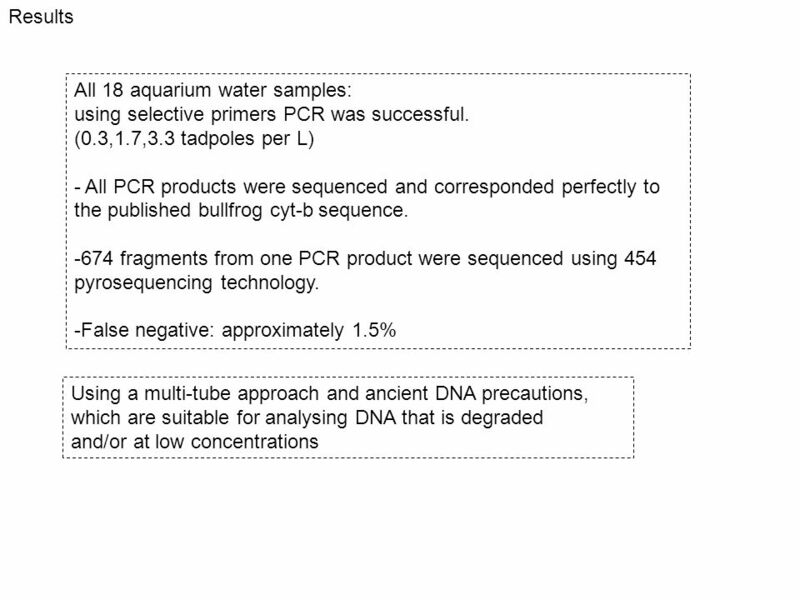 Carry out PCR for 20, 25 and 30 cycles. Analyse the PCR fragments by agarose gel electrophoresis. Find out how the number of cycles affects the amount. MtDNA from Human Teeth Samples (05/19/2006) Gel 1: PCR Products of mtDNA Amplification Using Primer Set 1 Gel 2: PCR Products of mtDNA Amplification Using. DNA extraction is a procedure used to isolate large amounts of DNA from cell. 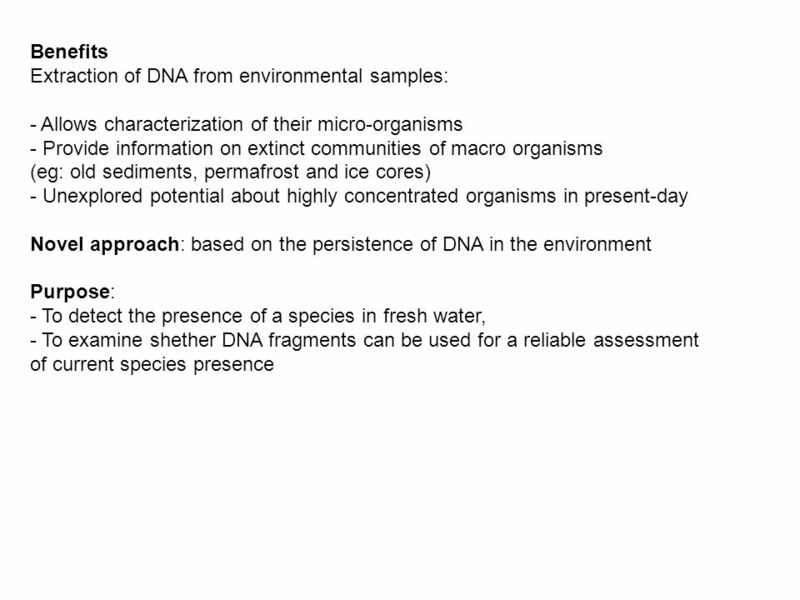 DNA can be isolated from plant and animal cells as well from bacteria. What. Ecological Systems Maintaining and Enhancing Natural Features and Minimizing Adverse Impacts of Infrastructure Projects Course Review. 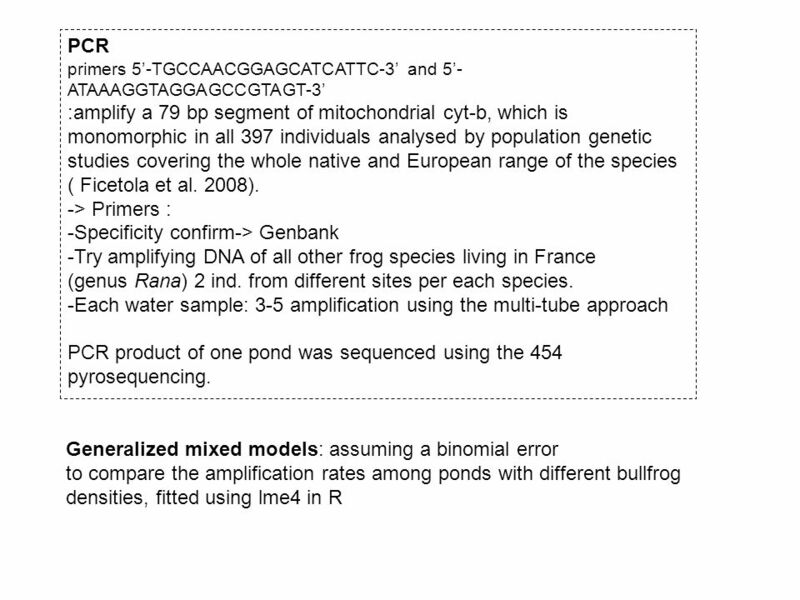 Monitoring aquatic amphibian and reptile populations using environmental DNA Katherine M. Strickler, Caren S. Goldberg, and Alexander K. Fremier. DNA, Chromosomes By Dr. : Naglaa Mokhtar. DNA Structure. 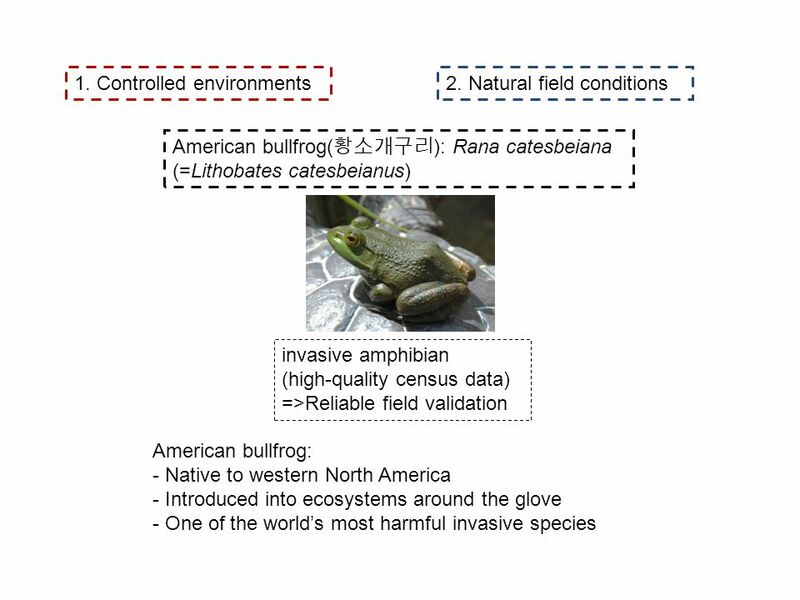 Chapter 55 Reading Quiz Introduced species are also called ____. 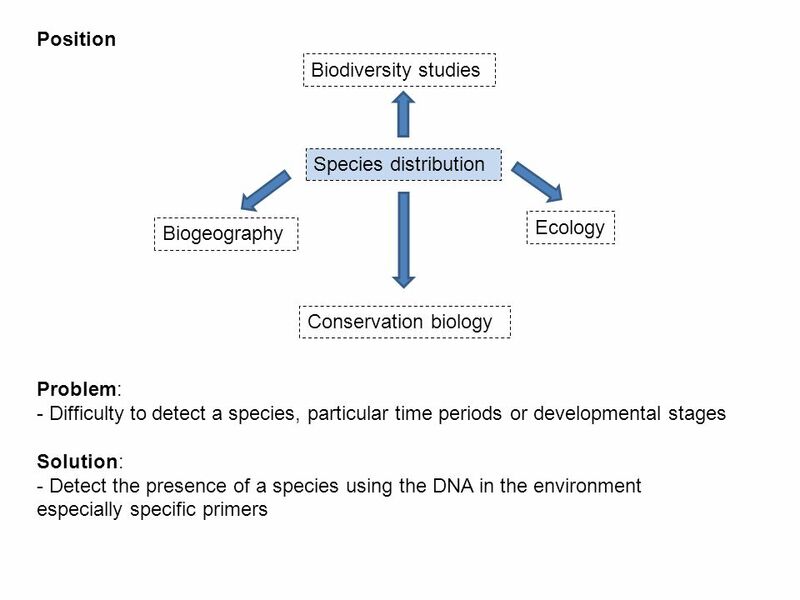 System for Mapping and Predicting Species of Concern NASA Biodiversity and Ecological Forecasting Team Meeting 23 April 2015 John Olson. 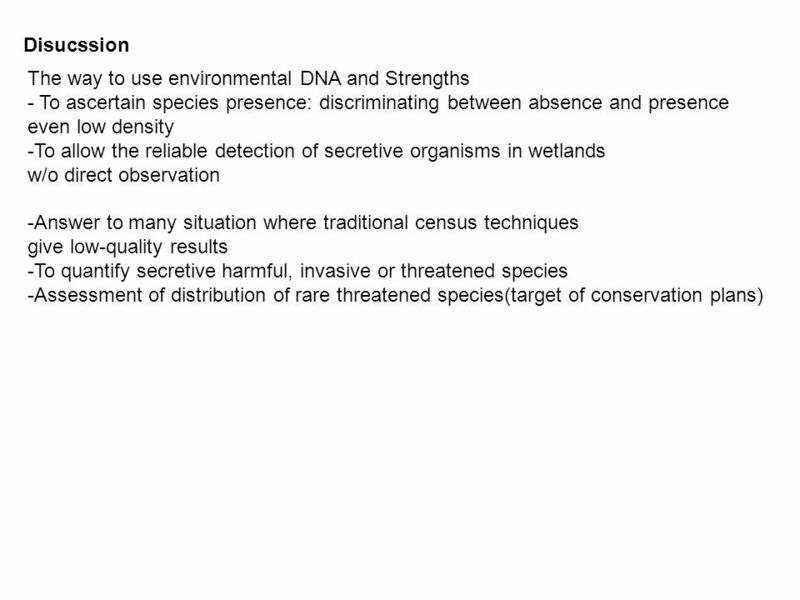 Impacts of Invasions Measuring impact is complex –What should be measured and how? 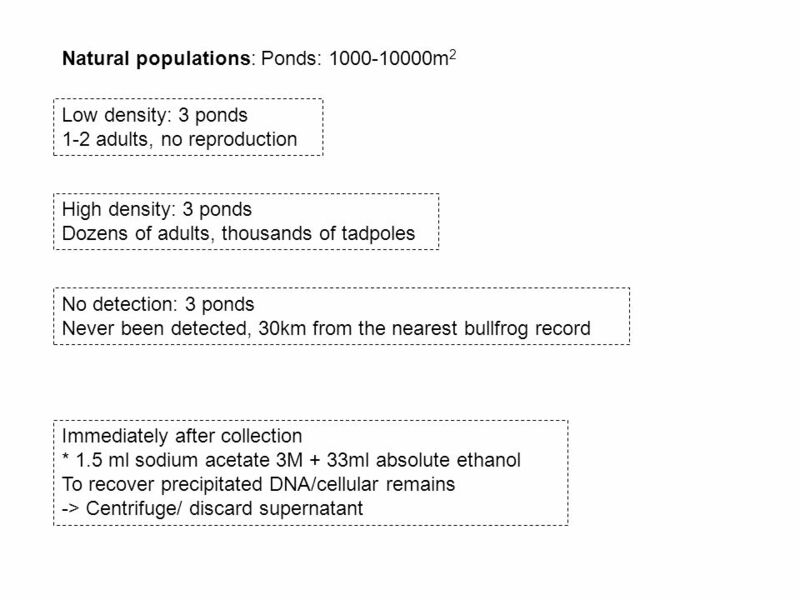 −For individual plant, individual species, or multiple species? −Over.